Melarase Creams by Kare MD Skin Health Now Available in Australia | Top Beauty Blog in the Philippines covering Makeup Reviews, Swatches, Skincare and More! Sunspots are among the most unsightly signs of premature aging, arising on sun-exposed areas without warning. Although it seems as though sunspots develop overnight, skin scientists have shown that sunspots often develop over years as a result of chronic sun damage and longterm UV exposure. According to Santa Monica plastic surgeon Dr. Raffy Karamanoukian, sunspots can often be detected with specialized UV photography long before they show up on the surface of the skin. "The key to treatment is to reverse early sunspots long before they appear on the skin,” he adds. Correction of sunspots often begins with a therapeutic skin protocol that maximizes UV-protection with physical sunblocks and topical skin lighteners. According to the skin experts at Eraze Laser Clinic in Queensland’s Gold Coast, daily application of Melarase™ creams and Melapads™ can reverse existing skin discoloration and prevent the formation of future age spots. 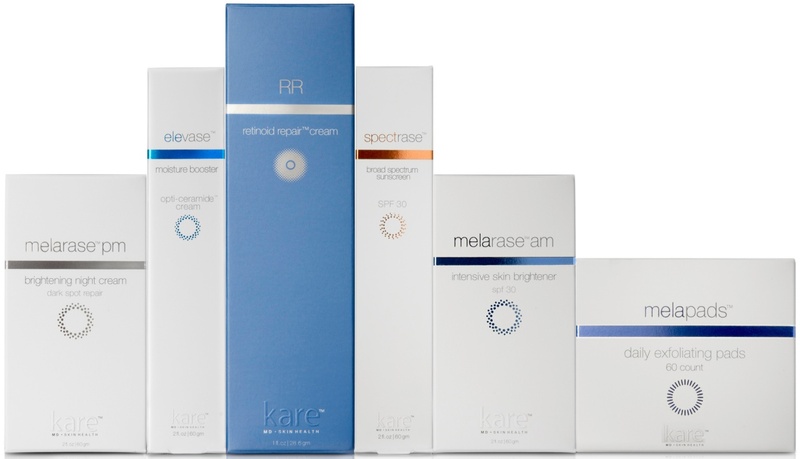 Melarase™ products work by inhibiting the production of abnormal pigmentation in the skin. Coupled with exfoliating retinoids such as RR Retinoid Repair, Melarase™ can lighten your skin’s complexion and reverse the common signs of premature aging. The Melarase™ program includes a daily facial wash (MelaClenz); skin exfoliation with Melapads™ Daily Exfoliating Pads, and Melarase AM in the morning and Melarase PM in the evening. Twice daily application allows for a gradual lightening of dark spots and improvement in skin complexion. This post is in collaboration with Eraze Laser Clinic. Thank you for supporting posts that keep Beauty Editer running!